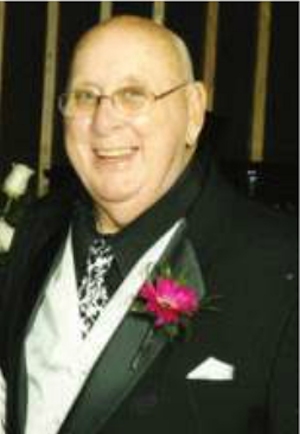 Obituary – Strub, Gary Lynn « Perry High School Alumni Association, Inc.
Gary Lynn Strub, 80 of Perry, OK passed away October 7, 2015 at his home surrounded by his family. Arrangements have been entrusted to the care of Palmer Marler Carberry Funeral Home of Perry. Funeral service will be held at the First United Methodist Church in Perry on Friday, October 9, 2015 at 2:00 p.m. Visitation will be held from 9am to 8pm on Thursday with the family greeting friends at the funeral home from 6pm to 8pm on Thursday evening. Gary was the son of Victor and Lola (Brand) Strub and was born in Perry on November 7, 1934. Victor Strub passed away in 1944 and in 1945 Lola married Howard Emery. Howard raised Gary and Gary considered him his father. 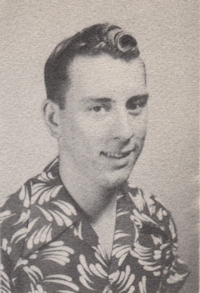 Gary was a 1953 graduate of Perry High School and served in the Army. On June 28, 1968 he married Janice Smith at the EUB Church in Orlando, OK. Gary worked as a Purchasing Agent at Ditch Witch for 32 years until his retirement in 1991. He opened a small antique booth at Antiques on the Square and enjoyed buying and selling antiques. He also enjoyed going to Estate sales and auctions. Gary was a member of the Perry Lion’s Club for over 50 years. He served as secretary of the club and attended the National Convention in Chicago. He was an avid gardener of flowers and vegetables. Gary also enjoyed watching Perry sports, especially wrestling. He rarely missed attending a state Wrestling Tournament. He also loved watching OSU Cowboy Sports. He was a member of the First United Methodist Church, Perry, where he served on many boards and committees and was the treasurer of the Friendship Sunday School class. Gary is survived by his wife Janice of the home and two children, a son, Aaron Strub, Oklahoma City and his daughter Allison Mulvany and husband Tom of Oklahoma City, a niece Kris Wills, Salina, KS and many other nieces and nephews. He was preceded in death by his parents Victor and Lola Strub-Emery and step-father, Howard Emery and one sister, Connie Edwards. Memorials may be made to the First United Methodist Church or the Perry High School Wrestling program in care of Palmer Marler Funeral Home and may be taken in person to 203 East Fir Ave. or mailed to P.O. Box 189, Perry, OK 73077.